The kidneys have a vital function to filter waste from the blood in form of urine. Kidneys may lose their functioning ability because of several reasons and reach kidney disease stages. There are 5 stages of kidney disease and the end stage is known as the final chronic stage which cannot be treated. Kidneys with less than 10 percent function reach the final stage of kidney disease in which the daily needs of life can be hardly met. Kidney disease is known to progress continuously if it is not diagnosed sooner. However, the length of each stage varies from individual to individual. The kidney life and their functioning ability greatly depend on diet and dialysis if recommended by a doctor. The chronic kidney disease still takes 10 to 20 years to reach the end stage after being diagnosed. GFR measures kidney function on a scale of 100 however, 90 or greater value can also mean normal kidney function. 45 percent kidney function means the kidneys have the capability to function less than half of their potential. 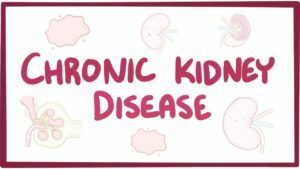 20 percent kidney function is the fourth stage just before the end stage of the disease which is as dangerous as the last stage and should be taken much care of. Less than 15 percent kidney function means ESRD stage which is the end stage. Kidney disease has 5 stages out of which the fifth stage is the end stage also known as ESRD. Stage 1 occurs when GFR is 90 or greater. This is the very first stage of disease where the kidneys function normally but some signs start to appear. Stage 2 occurs when GFR is in between 60 and 89 and kidney function is only slightly reduced. Stage 3 occurs when GFR is in between 45 and 59. The kidney function will be noticeably reduced during this stage. Stage 4 occurs when GFR is in between 15 and 29. The kidney function will be reduced extremely. Stage 5 occurs when GFR is less than 15. This stage is also known as an established renal failure which is the end stage of the disease. There are tiny filtering units present in the kidneys which are known as nephrons. When these nephrons are attacked by diseases, blood cannot be filtered efficiently by the kidneys which lead to their failure. Many health disorders can account for kidney failure which includes diabetes and hypertension. The kidneys cannot function properly if the blood contains higher than normal glucose levels which then damages the filtering cells called nephrons. Whereas hypertension affects the kidneys by exerting more pressure on these small vessels resulting in damage. Other causes of kidney failure include kidney stones, enlarged prostate, cancer, congenital abnormalities, and vesicoureteral reflux. Factors like smoking, tests using dyes, obesity, and painkillers are also known to progressive kidney disease. It is also very crucial for the blood pressure patients and diabetics to manage their condition in order to avoid kidney failure. Physical examination is carried out to check for symptoms while other blood tests will help to give an inner picture of the kidney function. Kidney tests will include urinalysis, serum creatinine, blood urea nitrogen test, and estimated GFR. All these tests are conducted if malfunctioning of the kidneys is suspected. Urinalysis: This test is carried out to help the doctor check for blood and protein in the body. The presence of protein and blood particles indicates that the kidneys are not filtering out the waste from the blood. Serum Creatinine: This test measures the kidney function to filter creatinine as waste from the blood. If the values are above the normal range, it indicates a problem with kidney function. Most hypertension and diabetes patients have higher than normal levels of creatinine in their blood. Blood Urea Nitrogen Test: This test measures how much nitrogen is present in the blood. Estimated GFR: This is a measure of glomerular filtration rate which also helps how efficiently the kidneys can filter out waste from the body. 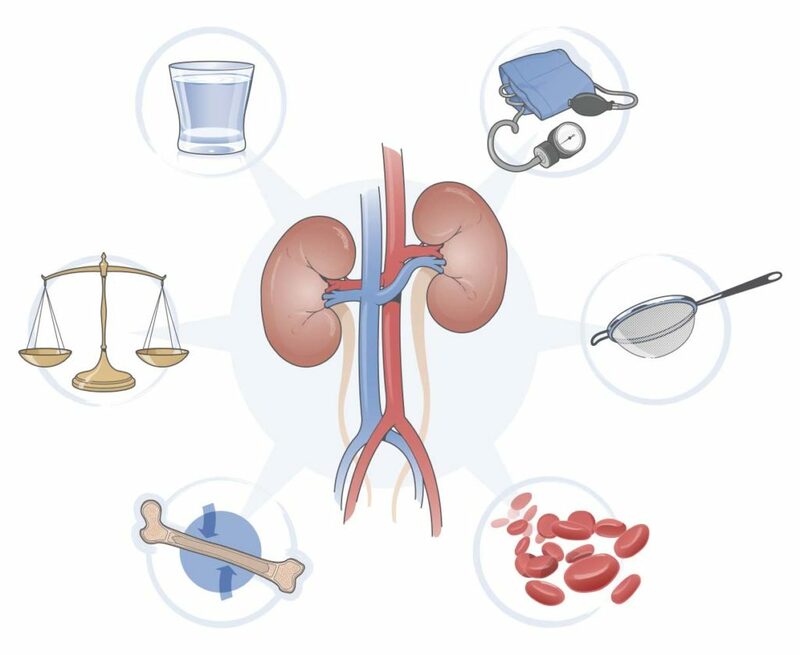 How Can Kidney Disease Be Treated? A doctor can examine your condition and suggest the most appropriate treatment required. The treatment for the end stage kidney disease or ESRD is either dialysis or a kidney transplant. However, other stages can be managed with the help of medications, lifestyle changes, and a restricted diet plan. Dialysis is a treatment carried out through machines which process the blood to filter out waste. The clean blood is then placed back into the body and the whole process takes 3 to 4 hours. The process may be repeated 3 times a week depending on the condition. The surgery is carried out to remove the affected kidneys and replacing it with a healthy donated kidney. Humans can function normally on one kidney which is why kidney transplants have become a successful treatment option. Hypertension and diabetes patients have their kidneys affected as their condition affects overall body organs adversely. Therefore, such patients should be treated with ACE inhibitors in order to prevent kidney failure. Also, there are vaccines available to prevent ESRD and the severe complications resulting from it. Positive outcomes can be achieved through such medication and effective treatment options to prevent further damage. Kidney failure may cause sudden weight changes as fluid is retained within the body. It is important to focus on a diet that is supportive of kidney function. Reducing protein intake will help reduce the load from kidneys whereas fluid restriction is necessary to prevent further damage of kidneys. Also, too much sodium or potassium can be harmful to kidneys. Try not to eat bananas, tomatoes, oranges, chocolate, nuts, spinach, and avocados as these are known to worsen kidney failure. Vitamin supplements containing vitamin C, Vitamin D, and iron may help the kidneys function better as they get support f absorbing essential nutrients. What are the Recovery Chances? Dialysis is a common treatment that helps to prolong life by regularly filtering out waste from the body. Kidney transplants have also gained success as failure chances are very low ranging from 3 to 21 percent. It is possible to prolong any treatment’s effectiveness if proper recommendations of the doctor are followed. ESRD is the end stage of kidney disease which can be life-threatening but it is never too late to live life. Positive support from family and friends can really lift you up and help you fight your symptoms. It should be known that ESRD is not easy to prevent but it can be managed by maintaining other health disorders like hypertension and diabetes. Also, an early diagnose of your condition can help you have a successful treatment and prevent the progression of the disease.